Homepage / Cat / Why do Cats Groom themselves? Anyone who has lived with or lived with a cat will know how obsessed these beautiful animals seem to be for their personal hygiene. 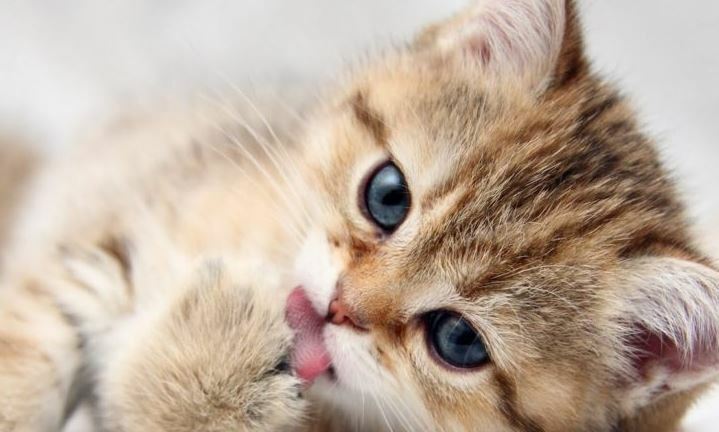 They groom themselves several times a day: after each nap, after each meal, after we pet them … But, why? In MyFriendlyPets we do not want to leave you without the answer, so do not hesitate to continue reading to find out why cats groom themselves. When do cats begin to groom themselves? The grooming, although it seems that no, is an instinctive behavior. It appears very, very early, with three weeks of age and is perfected daily until the little hairy learns to stay as clean as his mother, or his adult partners if he has them. In fact, when a kitten lives with more cats, if there is a very good friendship between all of them it is common to see a cat or adult cat that sprays him. This behavior is a way for all members of the group to have the same smell . An odor that is imperceptible to us, but that is very important for them, since they will be able to recognize themselves several meters away, because their sight is not very good (they see the world blurred, as if someone had lost their glasses). Why do cats groom themselves so much? Although the cat now has the possibility of living inside a home, this was not the case in the past. When living in nature, you have many enemies. Predators that, if they detect their body odor, could kill him in a matter of seconds . One way to avoid it is by grooming. The grooming consists of removing all the possible dirt from the hair , at the same time that it keeps it unraveled thanks to its tongue, which on its surface has very small “hooks” in which dirt gets stuck, dead hairs and some external parasites. By doing so, it stays clean , so it prevents anyone from finding it. Of course, when you live in a house or apartment, rather than for your own protection, you do it only to be clean. He does not like to feel dirty at all, and in fact, if he is very ill and has stopped grooming, we will have to take care of him, otherwise he could put his life at risk. So, if you see your cat grooming … just smile ????. Of course, if you see that you groom too much, even getting to bite, do not hesitate to take it to the veterinarian because it could have parasites or a disease such as allergy. Cat Litter: How Often and How to Clean? Previous post Can a Dog Eat Raw Meat?